I'd like to use screen sharing/I'd like to VNC to a Linux OS desktop from my Mac. Mac OS version: OS X El Capitan, 10.11.15A2301. Ubuntu version: 16.04.5 LTS. 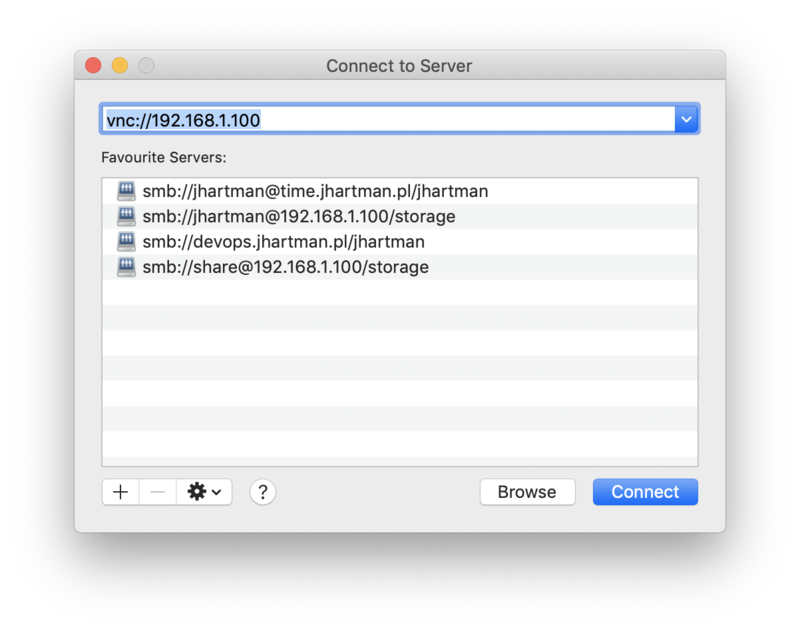 I have my Mac configured to accept VNC connections by enabling file sharing, remote login and remote management and I use it to VNC to other Mac systems but I'd like to VNC to a Linux system this time. I'm assuming I'd have to use some kind of sudo apt install command to install something and enable this functionality? Please do let me know any methods you may be familiar with, thank you. You don't even need to download any VNC client, as a basic one is built-in. Finder -> Go -> Connect to Server. Not the answer you're looking for? Browse other questions tagged imac unix remote-desktop screen-sharing . Will updating OS X Server over VNC kill my VNC connection? Can I RDP to MacBook?